Surveys are a simple tool, but used strategically, they can offer a tremendous amount of insight that you can use to drive member engagement for your events. Most member-driven organizations use survey’s as standard practice after an event to collect feedback on the experience of attendee’s. This is a powerful practice we recommend of any membership manager, but this strategy only helps your next event. It’s important to recognize that survey’s can be used in a multitude of ways to not only gather information after an event, but before it as well! Survey’s are an incredibly powerful tool to drive event engagement, when used to their fullest potential. Consider the following survey tactics, and get in the practice of taking advantage of them for all your future events! Driving engagement at your events requires attendee’s that participate. This means that they at least have to show up, but at most be legitimately excited about engaging with your event’s activities, exhibitors, talks, and so on. But all-too-often, many of your event registrations will be from individuals or organizations that registered on a whim, or out of some sense of professional obligation. Building a foundation for an engaging event starts by doing all you can to attract members of the first type (engaged), and avoiding members of the second (disengaged). The survey is one of your most powerful tools to do so. If an attendee isn’t willing to invest 10 minutes into answering a few questions about their interest in your event, chances are they aren’t that motivated to attend, let alone be engaged! This is why requiring the completion of a short survey to register as an attendee is such a strong way to filter out attendee’s who aren’t likely to actively participate. Including long-answer questions in your survey has the second benefit of giving you a treasure-trove of information you can use to be selective about who does – and doesn’t – come to your event. Registrants who put time into their answers, and demonstrate a thoughtful interest in your event, are your targets. Ask registrants why they want to attend, and what they expect to get from the event, to find those valuable attendee’s who are motivated to attend. Your events have a finite capacity, and this way you can ensure that every ticket sold goes to someone who is looking to enjoy and contribute value to your events! Quality speakers talking on popular topics are the cornerstone of a successful event. But it’s not always easy to find out who’s the best to speak at your event, let alone what your audience most wants to hear about. Unless you’ve got a survey strategy designed to help out. Chances are you’ve got an idea of potential topics you think your members would be interested in hearing about. Instead of bearing the burden of deciding which topics to hold talks on, consider sending event registrants a survey to let you know what they’d like to hear. Consider adding options as check-boxes to a survey form, leaving a text field available should anyone like to suggest a topic of their own! Once your survey has helped you pick your best topic, consider using the same strategy to define speakers! Survey’s can be a powerful tool to help you source potential leads for speaking engagements from your registrant’s/member’s personal network. You might be surprised to find that, through a personal connection, one of your member’s might be able to help you bring in thought-leaders on any given topic! It’d be a shame to put your time, energy, and investment into setting up and managing event workshops and activities – only to find out that registrants aren’t that interested! Using survey’s to gauge interest in possible planned activities is a great way to avoid that problem before it becomes a problem, but can also help you maximize the interest and engagement your activities create. If you’ve got multiple ideas for different activities, including them in your survey will help you collect the feedback that you need in order to pick the one that will create the best impact. Even if you don’t have specific ideas for workshops/activities, use your survey’s to gather feedback on the kinds of activities they’re interested in. Maybe a significant portion of your registrants prefer individual work over team activities, or would rather engage in activities earlier rather than later in the day. Little details like this are subtle and difficult to discern, but discovering them before your event with a straegic survey can have a big impact on success! Having a post-event survey should be a standard practice for all your events, especially those that you hold on a regular basis. If you aren’t in the habit of preparing one of these for event participants, take advantage of a huge opportunity to get more out of your events by getting in the practice of post-event feedback survey’s. Post-event survey’s ought to be sent as soon after your event as possible. Emails sent the day after are not only more likely to be opened, but the experience of your event is fresh in an attendee’s mind. If they’ve enjoyed themselves, the compulsion to reciprocate will also be strong, culminating in a lot of high-quality data you can use to get more impact out of future events. It’s important to be strategic about your surveys. You want to collect as much data as you can, but it’s important that it’s good data, and that your survey is actually completed by those you send it to. When collecting your post-event followup, be pointed in your questions, and be sure that you’re asking them in a way that collects the information you’re actually looking for. For example: “Did you enjoy the event?” is a straight yes or no question. But what does either checked box do to help you make the next event better? This question might seem like a standard one you’d expect to see on a survey, but unless you’re asking it in a way that helps you meet your goals, for example by triggering a text box allowing an explanation as to why, including the question only serves to make your survey longer and less likely to be completed! 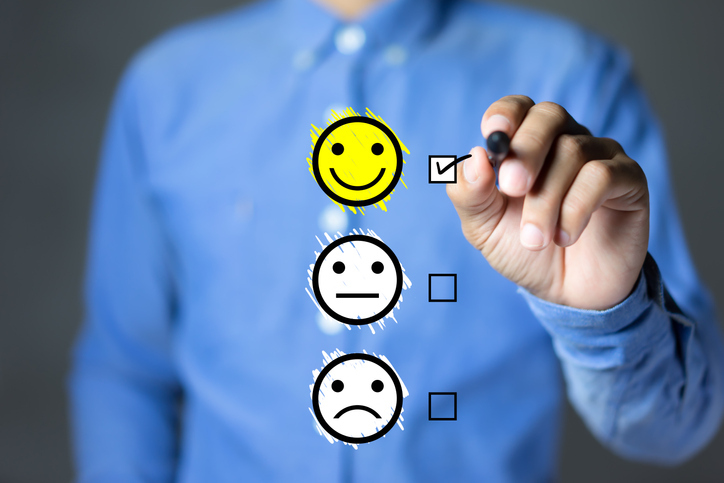 Survey’s are a powerful tool to drive engagement, but you certainly don’t want to get in the practice of overwhelming your members, registrants, and event participants with survey after survey. Above, we’ve outlined tactics that we suggest you incorporate into an overall survey strategy to get the most out of your future events. There’s no sense in sending two pre-event survey’s to qualify members and then select topics/speakers. Combine these tactics and others into a single pre-event survey to optimize their impact, and keep your survey’s out of the junk folder!